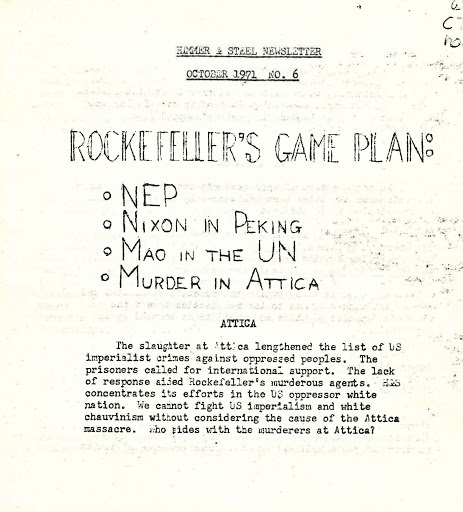 The Hammer & Steel Newsletter was published by Hammer & Steel, a small group that had formerly been in the New England District of the Communist Party, USA. 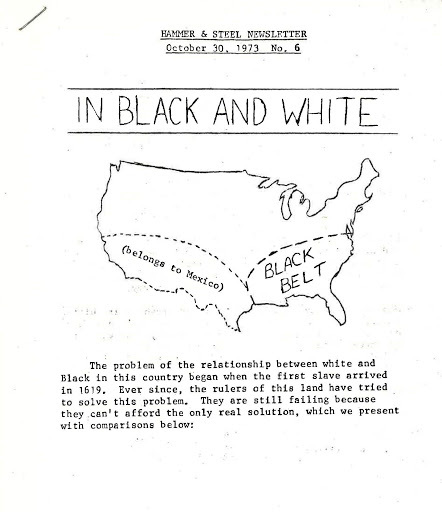 It later changed its name to the New England Party of Labor. 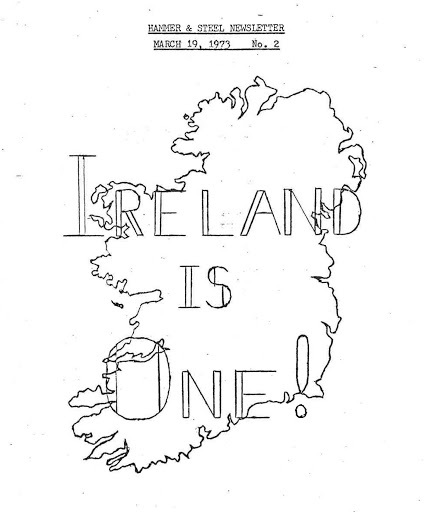 March 19, 1973: Ireland is One! February 28, 1974: Fertilizer or Gasoline? July 17, 1974: Indian H-Bomb: Good or Bad?